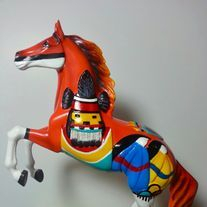 These figurines are individually given a makeover by my hand that could consist of a partial or whole repaint. 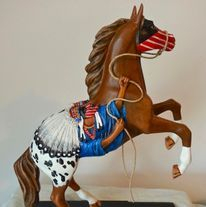 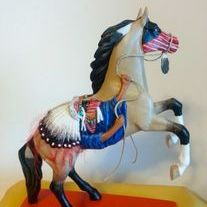 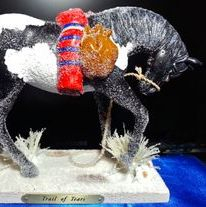 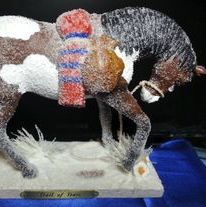 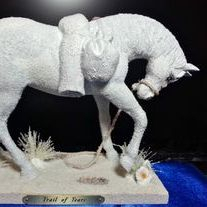 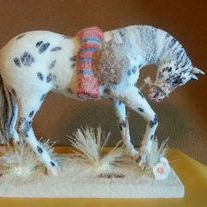 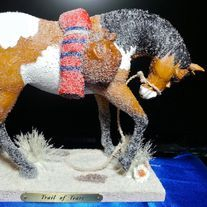 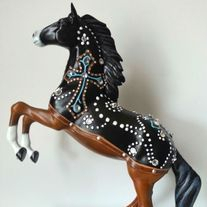 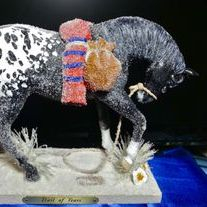 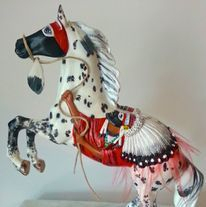 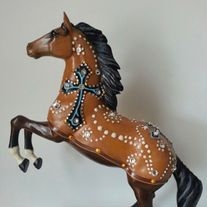 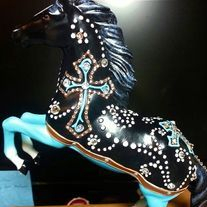 Added decorations such as feathers, grass, leather, crystals , ect that embellish or enhance the reproduction figurine into a unique creation of its own. 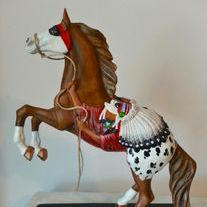 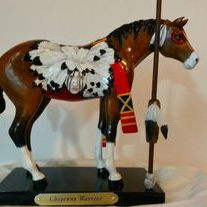 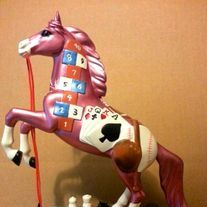 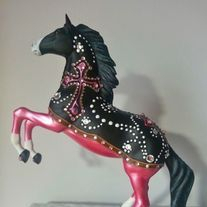 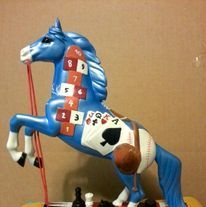 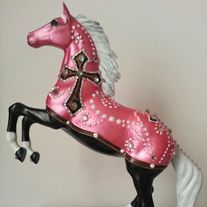 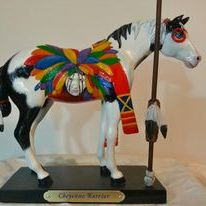 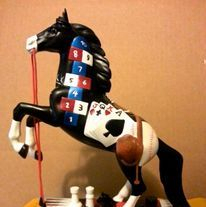 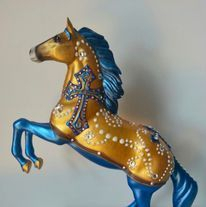 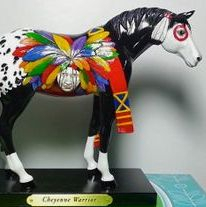 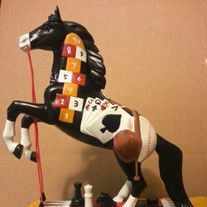 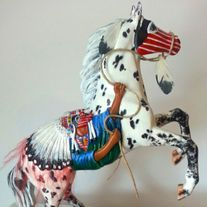 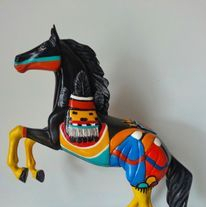 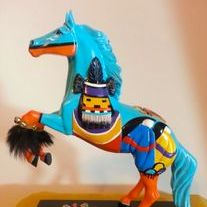 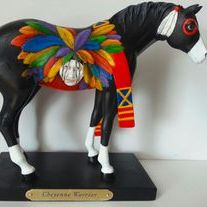 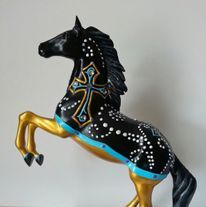 The embellished figurine still resembles the original design but gives you a unique creation of your own. 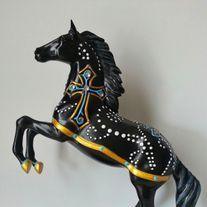 These embellished artworks are always a first edition figurine, hand signed under the base. 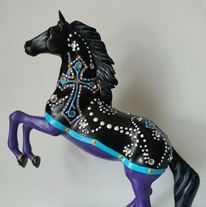 They come with a COA, shipping and insurance are included for the continental US> Alaska, Hawaii and all international shipments, please use the contact form below to figure the correct insurance amount.